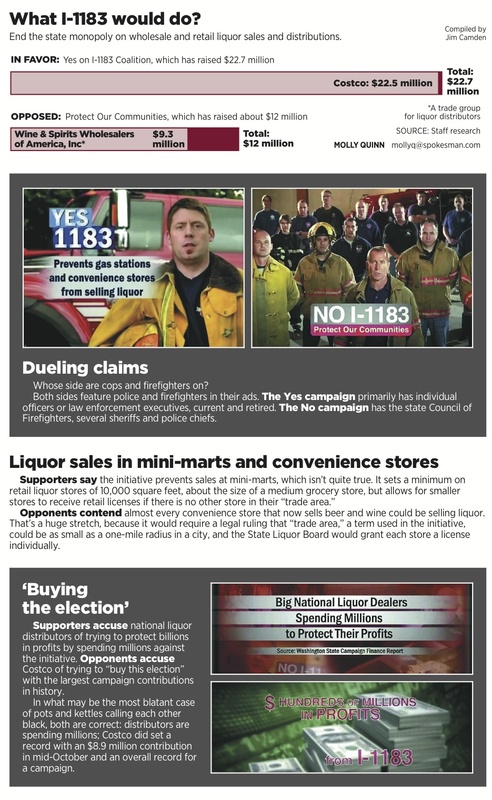 Costco has spent $22.5 million dollars trying to get voters to privatize liquor sales. The privatization supporters have raised 22.7 million total (SR). According to the most recent numbers, that's a little over $6.40 for every registered voter in the state (PI) — enough money to get all of us drunk off eight mini Pucker fruit liqueurs from the Manito liquor store. 55% of Washingtonians say they would uphold a gay marriage law if one were enacted by the legislature (Seattle Times), roughly the same amount who would pick Obama over Perry in a one-on-one race (Wash. Poll).